I’ve received a lot of questions asking about why I’ve changed what I eat and the way I eat it. There really isn’t a short answer, there is a flippant answer – that I want to give myself the very best chance I can to live as long as possible – but that doesn’t explain all of the research I’ve done or all of the advice I’ve taken, and it doesn’t explain that while I want to eat well to stop cancer in its tracks, I also want to eat well to try to minimise the side effects of the treatment I’m going to receive, and that I want to have the best life and feel as healthy as I can while going through the lengthy treatments. 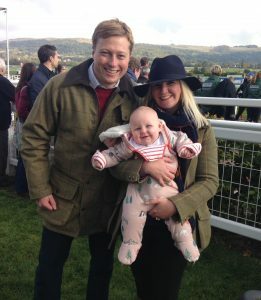 I like to think that I’ve always eaten well, my parents cooked from scratch and in the main so have I, I’ve always exceeded my ‘5 a day’, I’ve always maintained a healthy weight (give or take the dozens of Cadburys cream eggs I was getting through during the latter stages of my pregnancy with Filly!) and I’ve always been fit and active, yet I developed breast cancer anyway, so all of this may well be completely out of my hands, but it gives me back a little of the control I’ve lost since my diagnosis. I think some people would say that basically I am ‘clean eating’, but I want to show that there are more in-depth reasons to each of the changes I’ve made, rather than just cutting out processed foods, and also that this isn’t a fad. This is a way of life for me to ensure that I stick around as long as possible. No Dairy: I LOVE milk and cheese so this has been a tough one. There is very little clear literature available, there have been studies to prove and disprove the link between dairy and breast cancer, but as there is no compelling evidence either way, I am proceeding with caution and cutting out dairy. My family still eat dairy, but I am fairly insistent in that they only eat organic dairy, for health reasons, but also because the welfare of the animals is generally higher. I’d like to reintroduce dairy to my diet once treatment has finished, however, it will be organic, local, traceable and it will be as minimally processed as possible. Meat: I am eating very little meat, apart from on the odd occasion, because I LOVE a blue steak, but I will only eat organic meat. I haven’t ever eaten a lot of meat and was a vegetarian for 10 years previously. Due to my health concerns and animal welfare concerns, I’ve rarely eaten processed meat. There have been more studies into links between meat consumption and cancer; the key studies show that a) a higher than average consumption of red meat (processed and unprocessed) and b) a moderate consumption of processed meat can both lead to an increase in the chances of developing breast cancer. This isn’t to say that I think eating meat is a bad thing, I don’t, I just think that one should choose wisely and buy as higher welfare, as local, and organic if possible. 10-15 portions of fruit and vegetables a day: Eat A Rainbow – how can this be a bad thing? I love vegetables, and some fruit too (although I wish I was more of a fruit fan, it is a case of force it down sometimes.) I hate feeling hungry so filling up on delicious veggies is a great way to satiate my increasing appetite (due to the drugs) without adding too many calories (being overweight is a huge risk factor for many cancers). I try to have one meal a day where the main part is raw veg, and I have a juice each day that contains 4-6 portions of fruit / veg at least. And the rest of my meals always contain over 50% vegetables. No/ very low sugar: As we regularly hear in the media, sugar is everywhere, it’s in so many foods that one wouldn’t expect and it’s hidden in food when we eat out, so it’s really hard to cut it out completely. I am trying hard to eat zero refined sugar, I don’t purchase anything in the supermarket that contains refined sugar and I don’t have anything in the house that contains refined sugar, but I do eat out and I accept that there will be a occasional lapse when a chocolate is offered, but I am very aware of sugar and try as much as possible to avoid it. I have found some super recipes for raw, sugar free, vegan brownies that can always be found in my fridge to take the edge off any chocolate cravings, after all I am human! Wholemeal carbs: As a family we ate very few white / refined carbs anyway, but now I am even more conscious of my choices, and actually this is fairly easy to do. Even the supermarkets have more than one choice of wholemeal, or even vegetable based pasta, brown rice is so normal now one can swap for white rice in most restaurants, and delicious organic bread is easy to find. Pulses, Seeds and Nuts: As I’m eating little meat and because I don’t eat Quorn, or other ‘meat alternatives’ (because of the soy content, or that, in my view, they are classed as processed food, or because I don’t like the taste), I need to ensure that I keep my protein levels up so I eat pulses often. I also snack on nuts such as almonds and 2-4 Brazil nuts per day (Brazil nuts specifically because of the huge amounts of Selenium that they contain) and I add pumpkin and sunflower seeds into my breakfast on most days. Alcohol, Fizzy pop, caffeine: I have essentially given up all of these. Chemotherapy can affect liver function so I’m aiming to give my liver as little ‘extra work’ to do as possible. I do love a glass of wine, so I may indulge in a taste on the odd occasion during treatment, but certainly not with any regularity. I rarely drink fizzy drinks so this isn’t a hardship to cut them out, however, I did drink coffee – I have a toddler, of course coffee is a necessity – which I have now cut back on, I tried decaffeinated but I’m not enormously fond of black coffee and I can’t get used to coffee with non-dairy ‘milk’ so now I only have the occasional coffee; if I need a hot drink I have a black decaff Assam tea or a peppermint tea. Linseed (aka Flaxseed) and Hemp: Chemotherapy plays havoc with internal systems including the immune system. I take ground Linseed and Hemp seed with my breakfast each morning. Hemp seeds are full of Omega 3 which works to support the body through the chemo side effects. There have been studies that have shown Linseed/Flaxseed has helped to stop cancer cells growing in mice and at the same time it has shown to make both Tamoxifen and Herceptin work better (this hasn’t been proven in humans). Linseed also helps the digestive system which can be affected by chemo so I would use it as a supplement anyway. Manuka honey: this is widely known for its health benefits, but I take a spoonful a day for its ability to boost immunity and its anti-bacterial properties, it also offers a sweet fix in the absence of refined sugars. Wheatgrass, Spirulina, and Matcha powder: I started off taking wheatgrass powder mixed with water, and goodness it made me miserable; it is completely disgusting and I just couldn’t keep drinking it like that. I knew it was going to be of benefit so I looked for other ways that I could take it. In my research I also came across Spirulina and was amazed by its qualities so when I found a Wheatgrass, Spirulina and Matcha powder I bought it in bulk, and mixed with oat milk it’s just about bearable to drink daily (not water, it’s still horrid with just water.) Wheatgrass gives energy and vitamins, and is, for me, better than taking a synthesised multi-vitamin tablet. Spirulina is a blue-green algae, it is rich in chlorophyll and B12 and is alkaline forming. There are lots of people who follow an alkaline diet to help with their cancer treatment and l can see that it has many advantages, although sadly there are very few medical studies into it. I learnt about the Alkaline diet after deciding on many of the changes mentioned above, but the two ‘diets’ do seem to run parallel with each other and I think I will be naturally eating an alkaline diet anyway, but I will be reading more about it. The matcha is added because it is believed to boost immunity and to remove toxins from the body, (there are some emerging studies that it can help with breast cancer survival rates, but it is largely unproven). I’m very pleased to have found it in this mix because it makes the Wheatgrass and Spirulina taste a little more bearable. So, that’s where I’m up to so far. It’s been an experiment and I’m certainly not going to stop researching and learning and changing my diet. I’ve had 2 cycles of chemo so far and it appears that I’ve been ‘lucky’ with my side effects. This may just be luck, or bloody mindedness or that my diet is helping boost my immune system and keeping my body full of the nutrients it needs, while keeping any potential negatives to a minimum. I don’t think I’ll ever know, but it’s not a hardship to eat well so I will carry on doing what I can, while trying to avoid but accepting the odd slip up. Whether its affecting my cancer or not, as long as something works, whether that’s juices, alkalinity, oat milk, green stuff, chemo, or radiotherapy, I really don’t care, just as long as something works.